The Heidelberg Conference kicks off in Heidelberg (Germany) on July 18-21st 2013 celebrating 450 years of The Heidelberg catechism…. 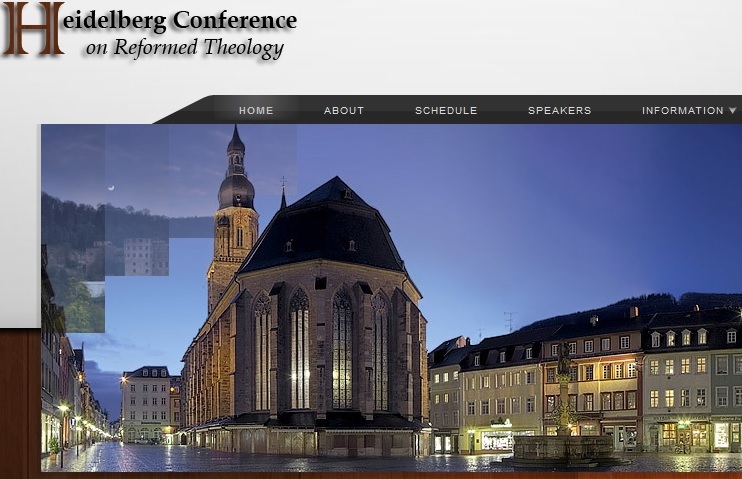 The Heidelberg Conference on Reformed Theology seeks to bring together Reformed believers from Germany, the Netherlands, Austria, Switzerland, Italy, France, the United Kingdom, the United States of America and elsewhere. Come, be a part of this event and enjoy the rich fellowship with brothers and sisters from around the globe. Don’t miss it! The HCRT wants to help you know what you believe and why you believe it! In a time where everything seems to be about personal taste and preference, we are called to confess our faith clearly and without compromise. This annual conference seeks to foster the robust faith of the Reformed confessions. A faith for which Christians have been persecuted. A faith for which Christians have died. It is our hope that this Reformed faith would once again become the confession of many Christians and of many churches, here in Germany, in Europe and in the world. We cordially invite all Christians who treasure the heritage of the Reformation and the faith it bequeathed us to come and participate in this conference.